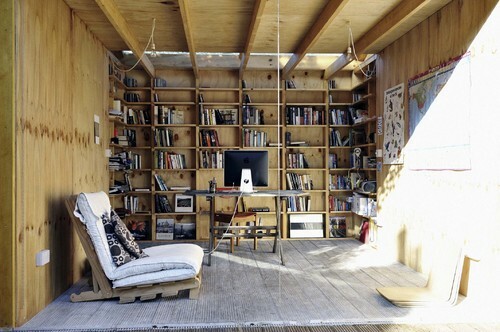 Constructed of simple, raw materials and designed for maximum efficiency, this sweet office space is 150 sq. feet. 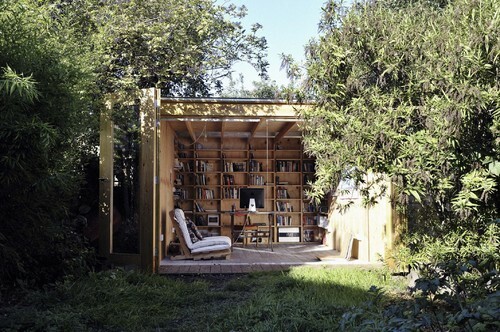 London Architect, Gurmeet Sian stuck to the budget of $16,000 and gave the owners the perfect work space, nestled into their back garden. The doors fully retract allowing fresh air and sunshine to fill the space and offers a flexible option for outdoor entertaining. 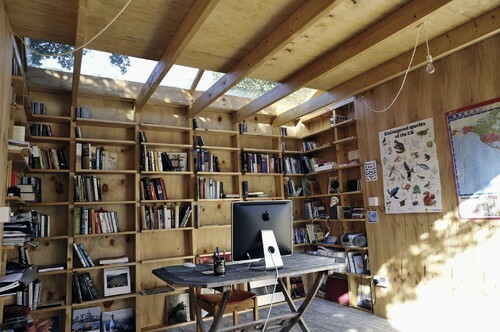 This large skylight reveals the blue sky and brings ample natural light into the office. So what do you think? 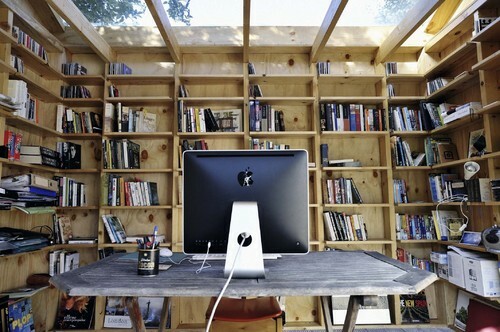 Wouldn’t it be nice to work from this vantage point?